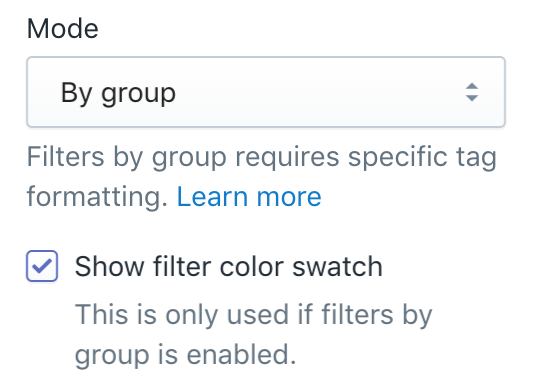 How to setup group filtering? 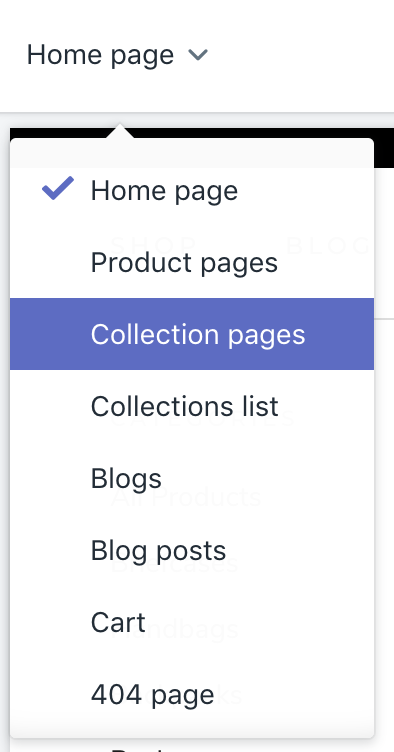 This is currently only supported in our themes Prestige and Warehouse. Select "By group" for the "Mode" setting. You can also enable the "Show filter color swatch" to turn your color tag into a color swatch.